More budget product reviews today from the one and only Poundland, this time in the form of bath products. Seeing as my first review was relatively successful and second not so much, maybe third time will be the charm? I mean to a certain extent, what kind of quality can you really expect for £1? They say you get what you pay for but I definitely don’t believe that in all cases. 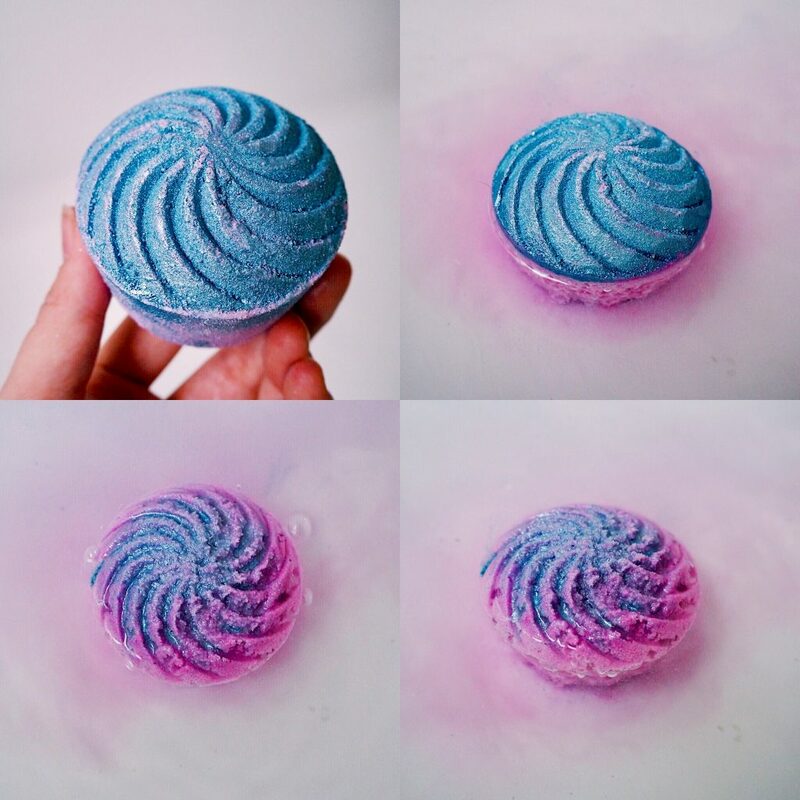 I’ll be reviewing four different bath bombs I picked up for £1 each in Poundland and letting you know whether they’re worth the pocket money you pay for them! The scent of this one is really quite lovely. It reminds me of the Nesquik strawberry milkshake AND it’s pink and sparkly. I mean, what’s not to love? I can’t say I have that much to say about this one other than it dissolved slowly but nicely into the bath. Unfortunately the scent didn’t stick around or emit much further than the bomb itself. Consequently I’d only recommend this if you want something simple, pretty and girly to pop in the bath, not if you want something spectacular or special. I’ve only been a lover of ginger and spicy smelling products recently and they’re especially perfect around Christmas time. I know I’m extremely late using this bomb but I bought it at Christmas and it was just too cute to use for ages so I’m only just appreciating it now. I thought it was a bit of a novelty and wouldn’t be any good because of the design and price of it. I really did enjoy the experience of this bomb, the smell was really quite strong, it was a decent size and it was nice and gentle on the skin. You may have to wait until next Christmas to purchase this one. Although I did see snowman and polar bear bath bombs in the same packaging in Poundland last week. You might get lucky and find some left over stock in one near you. I LOVE the colours of this one! It’s blue and purple which swirl together and look really cool in the bath. This bath bomb smelt absolutely nothing like blueberry though if I’m honest. It was a very fruity and artificial scent, not unpleasant, it just sort of reminded me of cheap sweets. I think this and the strawberry sparkle one were definitely aimed more at kids as they put on a bit more of a show in the bath. I can’t say the scent for this one lingered at all which is a shame. Great bath product if you’re just looking for some subtle colour and fun though. So this one is COVERED in glitter and is a light orangey/beige colour. It’s a little upside down dome shape and the prominent scent of it is spice. I wouldn’t say it smelt all that orangey but it is quite a christmas-themed scent in my opinion. None of these bath bombs are that fast fizzing to be honest but this one was definitely the worst. 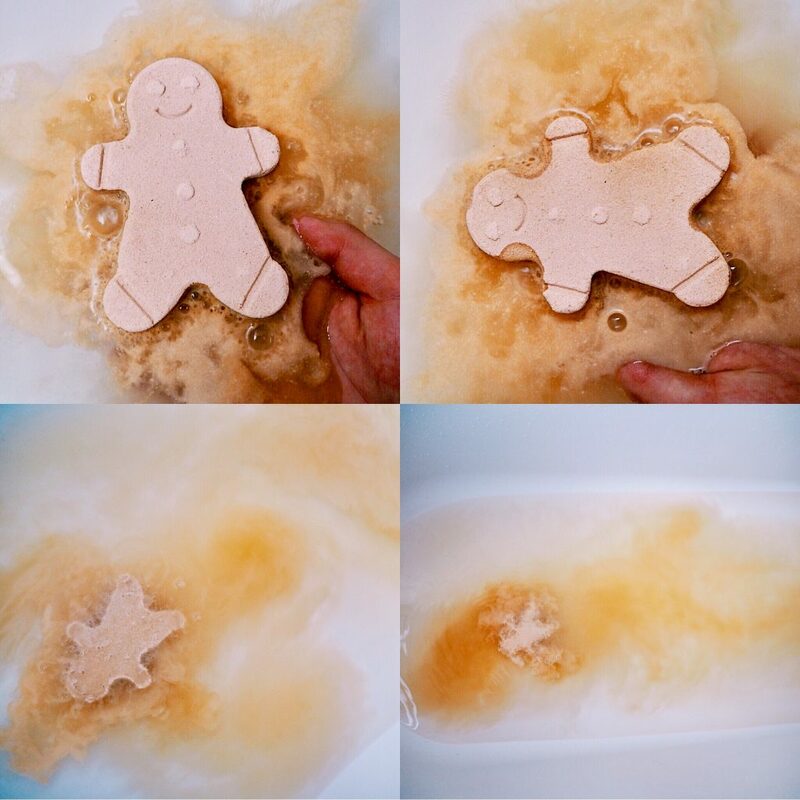 When dissolving, the top layer melted away but left behind a sort of sponge looking lump that needed assistance to fully disperse into the bath. The glitter was really nice and subtle in the bath but still noticeable along with the scent. It left a light orange tinge to the bath but I’ve got to say it did slightly sting my skin. I found this a bit odd as the other three were fine and my skin isn’t usually that sensitive as I use bath products all the time. If it didn’t sting then I would re-purchase, so I’m not sure I’d recommend this one as maybe it has a bit too much spice in it or an odd ingredient causing the stinging. I can’t say any of these bombs left any sort of moisture behind or did much for the skin but they are nice if you want a bit of a pamper and a fun bath product that you don’t have to fork out for. They’d be great in stockings at Christmas or in kids party bags! 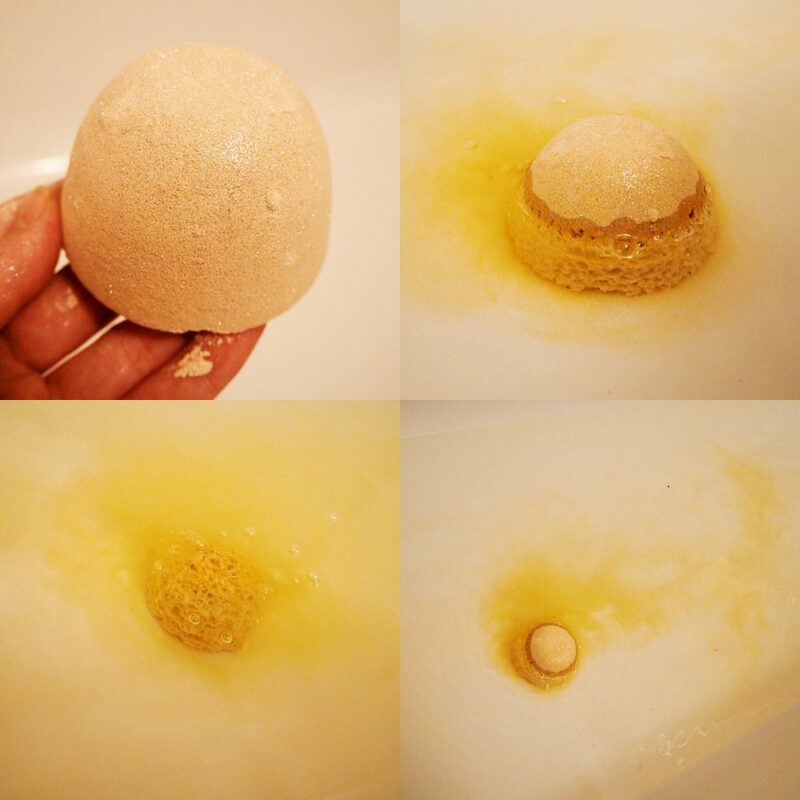 Have you ever tried a £1 bath bomb? "Sick To Death Of Shameful High Street Sizing!" Yeah they definitely give a bit more than the Wilko ones although I’d say the Wilko ones have a bit more of a scent to them! ? I love budget products as long as they still work and gives a similar outcome. Wow, for 1 Pound, that’s a really good deal. 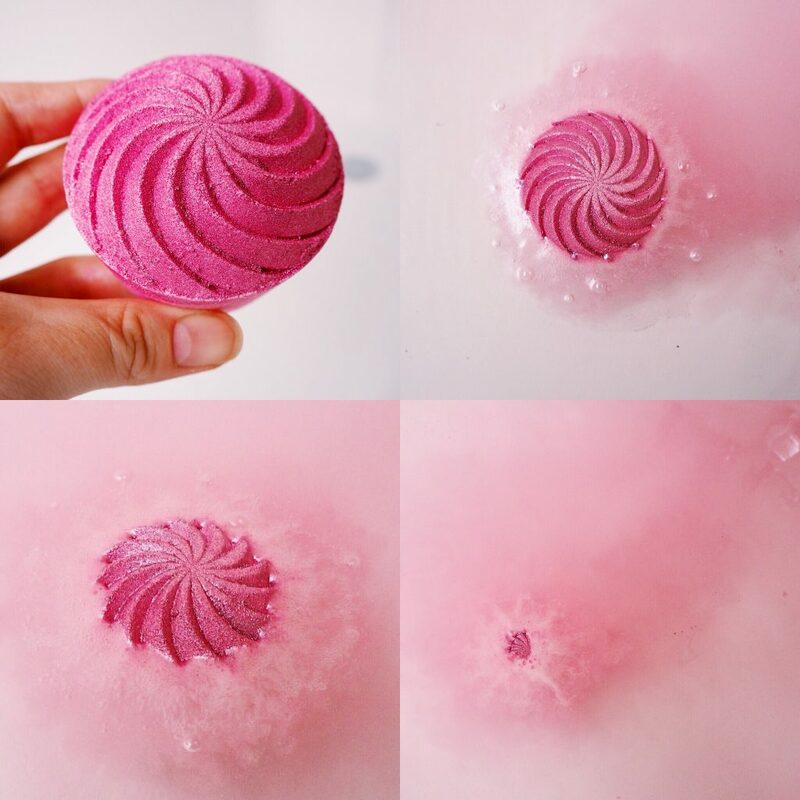 All of these bath bombs look cute. I like that all of them gave some good results even though it didn’t leave much moisture behind. Still, it looks like a treat. Thanks for sharing your thoughts :). Budget products are the best! I do love a good bargain but yeah I do enjoy bath bombs that leave a bit of moisture as I can get a bit lazy with my body skincare sometimes, thanks for reading ?